The “Instrumental Adventure Metal” foursome will return this spring with their forth full-length release, “The Migration.” The wait for this album shouldn’t be too bad because Scale The Summit has confirmed they have completed the recording phase of the album’s production and are planning a Spring 2013 release. This is also the first album recorded with new bass player Mark Michell (Tetrafusion). To hold you over, we have some album play through teasers and “Redwoods”, a single from last year. The band has also unveiled a new new logo in support of this release. No official artwork yet. Stay tuned. 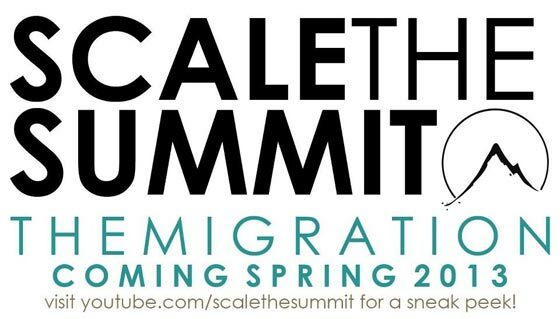 We’ll keep you up to date as more info on “The Migration” comes along.